L-A: We’ll get back to our regularly scheduled posts on Wednesday. I had a case of jet lag and the remains of a head cold yesterday, so I’m totes phoning it in. 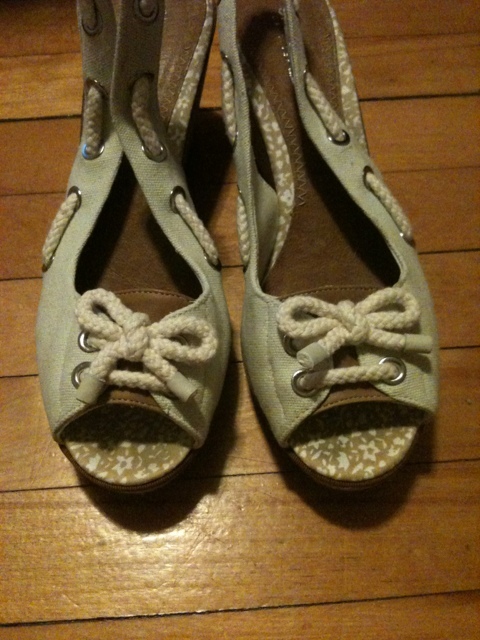 In the meantime, check out the nauticalish Sperry wedges I got on my vacation. I need it to be summer already so I can wear them all the time.